iNautia.com offers you the widest range of boat rentals in the market with a variety of destinations so you can enjoy a different type of holiday. 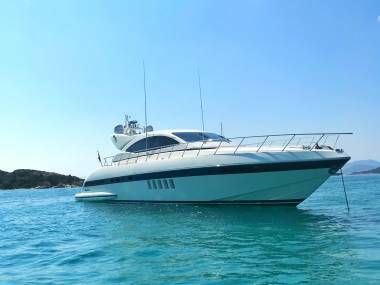 438 motor yachts to rent, with or without a skipper. Select the start date and the duration of the rental in the search box, and choose the boat that best suits your needs. ASTONDOA 68 20.48 m from Length 10 m from Places. Sunseeker Predator 82 24 m from Length 10 m from Places. Cranchi M44 HT 13.78 m from Length 4 m from Places. Azimut Magellano 43 15.18 m from Length 5 m from Places. Bavaria 43 HT 13.28 m from Length 6 m from Places. Sessa 42 Fly 13.1 m from Length 12 m from Places. Sessa 54 FLY 16.36 m from Length 12 m from Places. Sessa C35 11.33 m from Length 8 m from Places. Sessa C38 11.7 m from Length 12 m from Places. PRINCESS 55- Alquiler con patrón o marinero 16 m from Length 11 m from Places. AB YACHTS 58- Alquiler con patrón o marinero 17.73 m from Length 11 m from Places. FERRETTI 70- Alquiler con patrón o marinero 21.54 m from Length 11 m from Places. 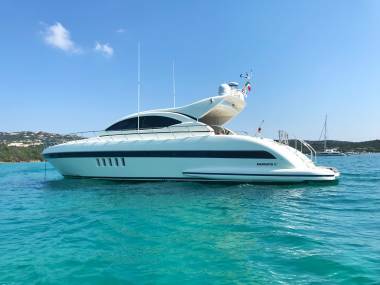 ASTONDOA 72 GLX-Alquiler con patrón 22 m from Length 12 m from Places. SUNSEEKER SUPERHAWK 50 15.25 m from Length 13 m from Places.